The picture features an Ice bar built for the 2012 London Olympics. Nothing melted, no one had to mop up. Simple ! 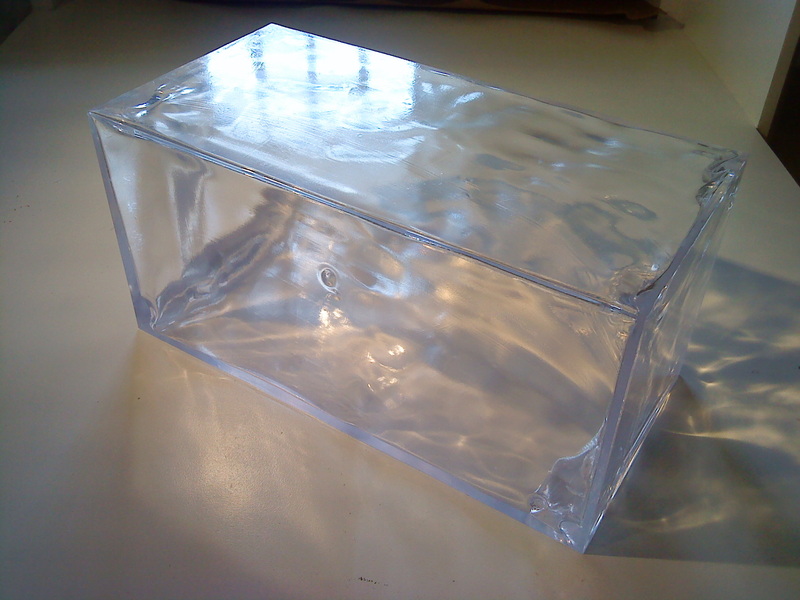 Colourless, strong, clear, plastic blocks are extremely realistic looking blocks of ice and are ideal for creating an exciting ice effect in any situation. 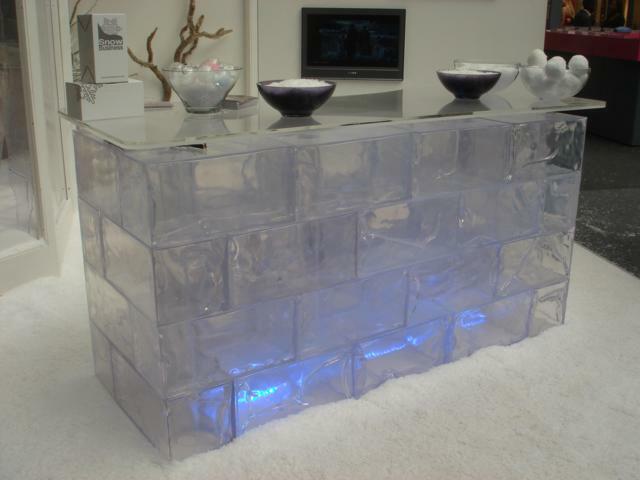 The two sizes can be used together to create ice walls or any structure you can imagine. 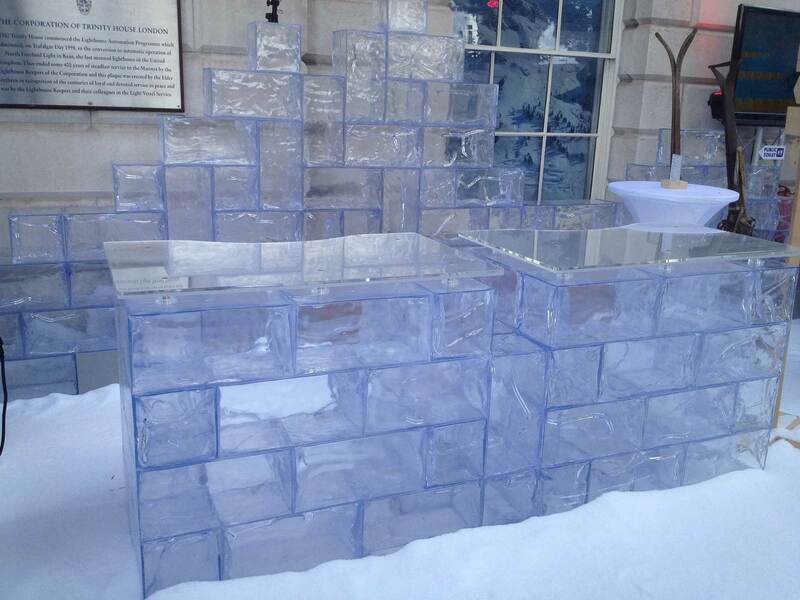 Easily fixed together with silicon, these ice blocks are a great way to bring a winter feel to any display or event.